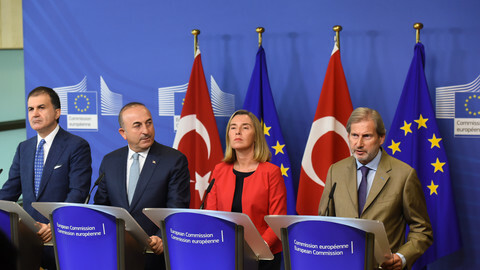 EU enlargement commissioner Johannes Hahn has called for a change of course for the EU on Turkey's accession to join the bloc, after president Recep Tayyip Erdogan urged Turks living in Germany not to vote for the county's two ruling parties in the upcoming September elections. 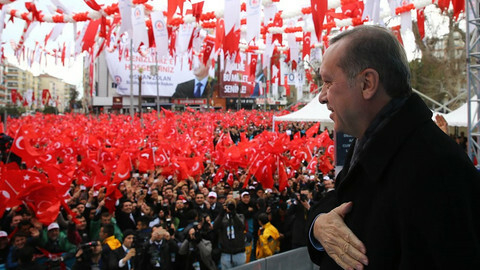 Erdogan said last week that German citizens with Turkish origins should not vote for chancellor Angela Merkel’s Christian Democrats (CDU), Martin Schulz’s Social Democratic Party (SDP) or the Green Party, because they had demonstrated an anti-Turkey stance. "I believe it is time for the member states to discuss the strategic implications of this behaviour. Shrugging your shoulders is not a political strategy in the long run," Johannes Hahn told German daily Sueddeutsche Zeitung on Monday (21 August). 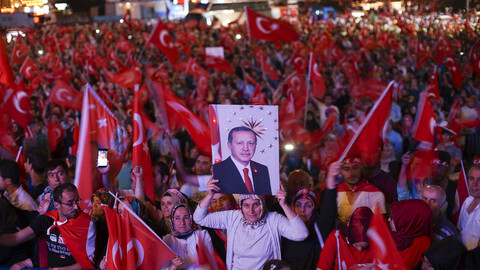 Hahn justified his demand with Erdogan's interference in the Bundestag election campaign, as well as Ankara's forced extradition request of the German-Turkish author Dogan Akhanli. "The interference of president Recep Tayyip Erdogan in a national election campaign, as well as requests for extradition regarding alleged political opponents are unacceptable," said the Austrian EU commissioner, who has been in charge of the EU enlargement policies since 2014. Armed police arrested Dogan Akhanli on Saturday morning at his hotel in Granada, Spain. He was handcuffed and driven to a regional HQ for questioning. The 60-year-old writer was later freed, but is not allowed to leave Spain until judges have decided whether to extradite him to Turkey. 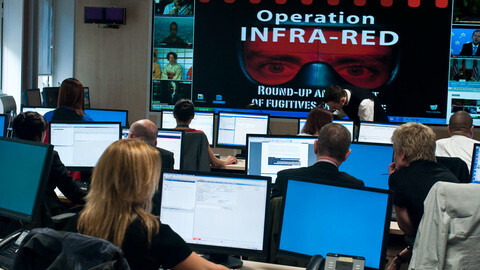 The arrest of a Turkish dissident has highlighted the way rogue regimes use Interpol to hunt their enemies inside the EU. The European Parliament voted in July by a large majority to suspend Turkey's membership talks with the EU, saying president Erdogan's crackdown on political opponents meant Ankara did not meet the bloc's democratic criteria. But, so far, EU member states and the European Commission have held back on criticism of Turkey. 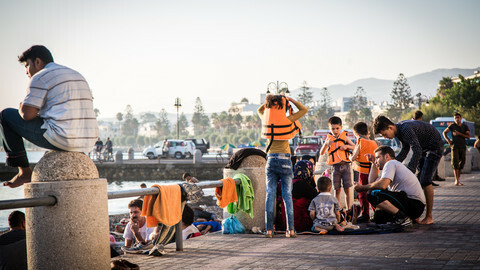 They do not want to provoke a change of an agreement struck last year, whereby Turkey effectively stopped migrants reaching Greece, easing the migration crisis that had threatened EU unity. The layoffs and arrests without a legal basis show that the leadership in Ankara "is apparently not willing to revise its course, which brings it farther and farther away from Europe," Hahn said. The commissioner was backed by Luxembourg's foreign minister, Jean Asselborn, who told the German daily that "Erdogan knows no limits, he wants to provoke the abortions of the accession negotiations". "We should keep a cool head and not fall for it," Asselborn added, saying that there was still hope that Turkish democracy could be saved. 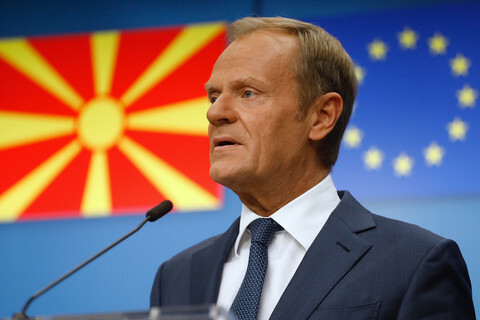 Turkey applied to join what was then the European Economic Community in 1987, and was declared eligible to join the EU ten years later, but there has been little progress in reality on Turkey's membership bid since negotiations were formally launched 12 years ago. Arrest of Turkish dissident has again highlighted the way rogue regimes use Interpol to hunt their enemies inside the EU. 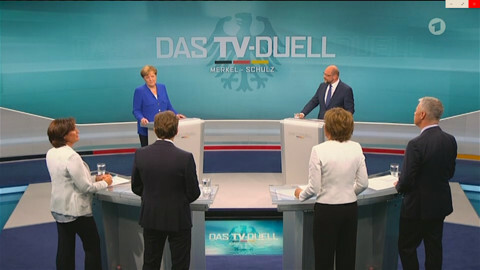 German leader promised to shut down Turkey's EU accession talks and defended her open-door refugee policy in a pre-election TV duel. 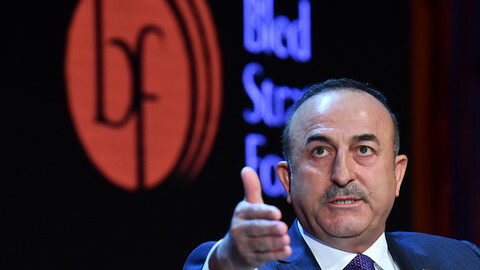 Turkish foreign minister said German chancellor's call to end EU accession talks was "same rhetoric as racist parties".